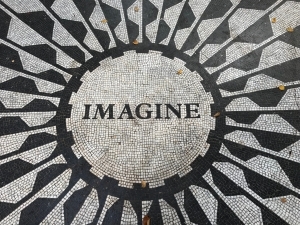 Imagine what it would take to add another product or service to your practice, that didn’t require hiring new employees or taking on new clients. Have you thought about adding a new product or service? If you have, I’ve included 8 tips to help you flesh out and implement a new product or service today! Develop an idea based on the needs of your ideal client. Your idea will emerge from the clients you see who may be asking for the same service and you find yourself repeating the same information over and over again. If that is true, then you may have a viable product and or a new service that you can offer. Test and validate your idea with your clients or a group of people that resemble your ideal client. Use the information that you gather to understand their pain points and adapt your offer to fit the needs of your clients. Gather this feedback in the areas where your clients live online, so if that is Facebook, Instagram or even an online forum, ask questions, get feedback, validate and adapt. Focus on your niche area and provide helpful content in a way that no one else does with your own flair. You’re creating a culture around your product or service. You want people who come to your website, page or even your office to feel like they can understand a little about your by the content you share, the stories you share and even how you interact with them. Set goals for how much money you’d like to earn from this new product or service. Set a goal for how many people you’d like to purchase this product and then work backwards to determine how many people need to be aware of this product or service in order for you to reach that number. You should have short and long term goals. It’s easy to get discouraged, so make sure you are continuing to validate your idea along the way and adapting so that what you are offering meets the need of the people in your niche. 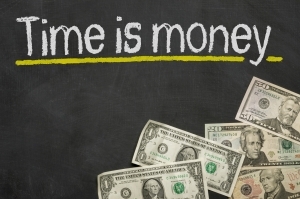 Doing this will help you reach your client and financial goals. Uggg! I know, everyone says grow an email list, but it’s the truth. With so much information swirling online, it is hard to get your voice heard over the noise without a dedicated place for your people, your community to gather. Yes, you can start a Facebook group and I highly suggest that you do, however, Facebook is still in control of who sees your content and how many people who see your posts today will surely diminish in a year from now. Engage with the people who are interested in your product or service. They want to know that they can trust that what you are offering will help solve their problem and that you are not just another person who wants to scam them. Continue to tweak and refine your product/service until you hit the right stride. Your offer won’t resonate with everyone, but that’s ok. Once you’ve found your tipping point, continue to relaunch this product and service over and over again as you continue to grow the people on your email list. People are paying to get rid of their pain point, to get an answer to their question in a clear, easy to follow path. 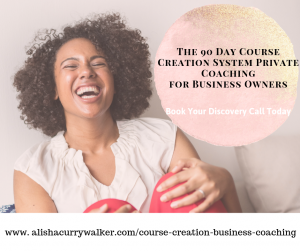 If you are able to provide an answer to their pain, clearly show them the transformation, then you are well on your way to be successful in creating and selling products and services beyond your current practice. 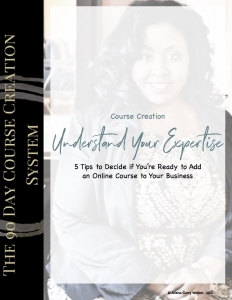 If you want to create an online course but you don’t know where to start enter your information below to receive a copy of my ebook, Understand Your Expertise: 5 Tips to Decide if You’re Ready to Add an Online Course to Your Business.